Anyone can talk to students; how can you help them listen? Many students struggle with the idea of failure. They want to be good at everything, and want to win at all costs. Some students would rather practice only what they know they are good at, so they are successful every time. Middle school has been an exciting age group to teach, because they are a captive audience at a pivotal time in life. 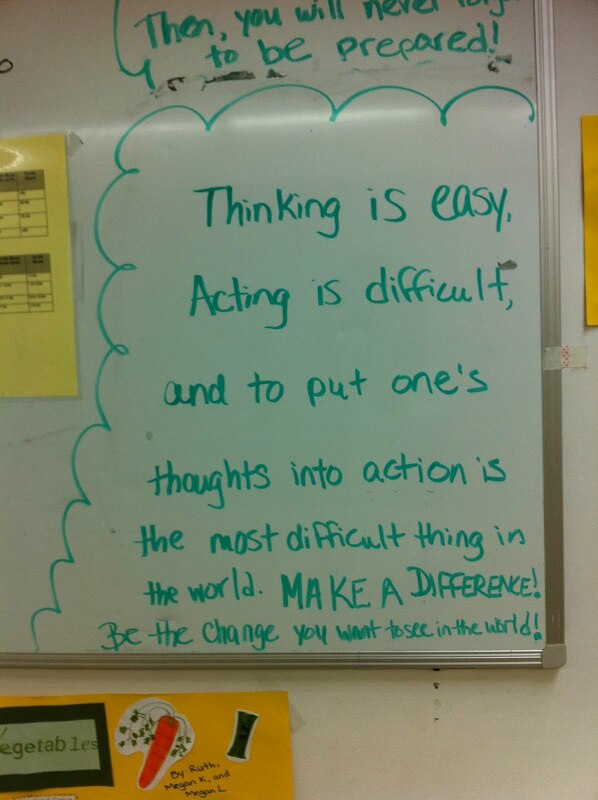 Beyond just talking to the students, I write quotes on our hallway whiteboard to inspire them through tough days. Though they might not be cooperative all of the time, it is a HUGE accomplishment when students are willing to try new things, and develop a positive attitude about change. Our world is changing faster than ever. 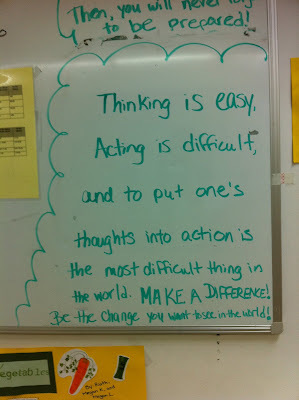 I hope I inspire my students to be the change they want to see in the world. It's okay to fail, but it's not okay to give up completely. As they say in Spanish, "Las cosas son difíciles, pero no imposible. Siempre hay una manera".